Holiday ideas for the animal-lover who has everything. What would you name this prideful pair? The chance to name an animal at the LA Zoo may be the gift of a lifetime for someone you love. Secretly we all want to go home with the fuzzy newborn cubs we saw at the zoo. We too dream of working on the computer while a snugly lemur perches on our shoulder. And who doesn't think life would be just a little bit better with a mini hippo at your hip? But these little darlings are wild animals. They get big, and a wee stinky. Perhaps not the ideal present? But you can get close (and protect wildlife) with these holiday offerings from Greater Los Angeles Zoo Association (GLAZA), a non-profit that supports the LA Zoo. Save another unsuspecting creature from a life as "Fluffy" and sponsor the official naming of a zoo animal. The lucky recipient gets to pick the name and receives an official certificate, plaque presentation ceremony and a VIP tour with zoo staff. Prices range from $1,000-$50,000, benefiting the zoo's animal acquisition fund. The name-themed gift worked for Glenda -- the zoo's newest baby gorilla. Visit http://lazoo.org/support/nameananimal/index.html for more information, or call Suzanne Condren at 323.644-4781. 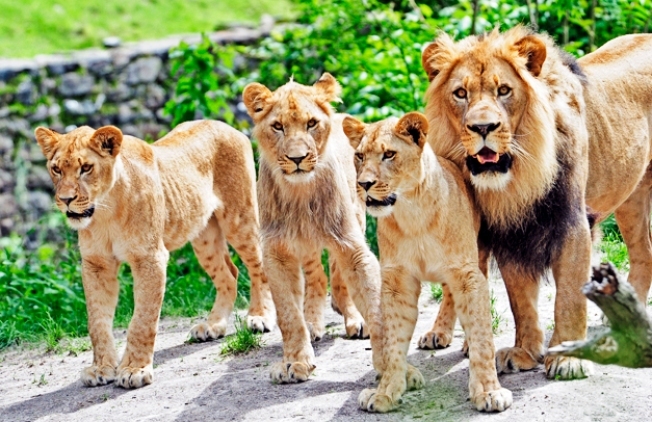 Starting at just $35 on up to $1,000, you can become an "adoptive parent" to a lucky zoo animal and help save threatened species. Recipients choose an animal from a threatened or endangered group and for one year they are named guardian of that species. Benefits range depending on the donation, but everyone gets a personalized adoption certificate, a photo of their animal, and the satisfaction of knowing the donation helps the zoo participate in programs that aim to save endangered species. Visit http://lazoo.org/support/adopt/ for more information or call 323 644-6035.